Hydraulic fracturing or “fracking” is a well established, tightly regulated technology. It has been used safely to enhance oil and gas production for 65 years in more than 2 million wells worldwide. Fraccing increases the flow of oil and gas to wells, which increases production per well and reduces the total number of wells needed to develop resources. It also allows commercialisation of “tight” (low permeability) reservoirs in which oil and gas do not easily flow. 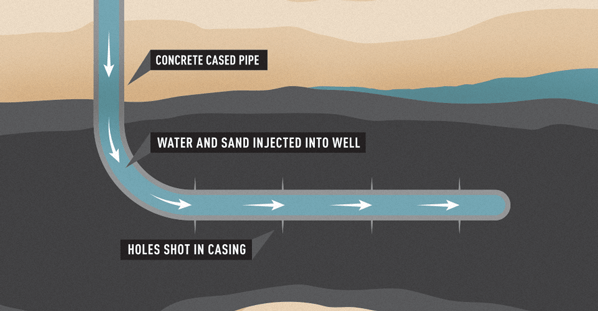 This technology is now used in about 90% of new US gas wells. Other industries also use reservoir stimulation – artificial geothermal energy production relies on fraccing and even water bores are sometimes fracced to increase water production. 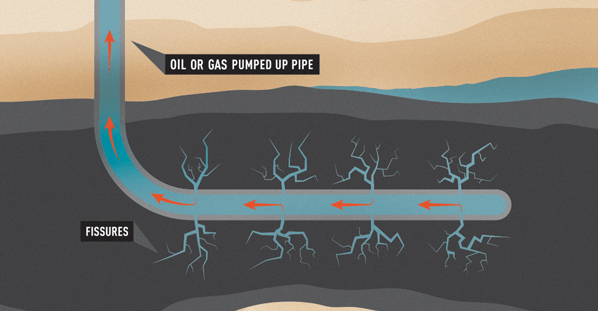 Fracking involves stimulating fractures in a rock layer in order to increase the flow of gas, oil or other substances, such as geothermal fluids. Fluid is pumped down the well at high pressure to produce tiny cracks in the target rock reservoir. The well is cased in steel and concrete so that the fluid enters only the target zone. “Proppants”, such as sand or tiny ceramic beads, in the fluid are used to hold the fissures open and improve the flow of gas or oil. The injected fluid is typically more than 99% water and sand plus a very small amount of chemicals. The chemicals are needed to reduce friction, remove bacteria, dissolve some minerals and enhance the fluid’s ability to transport sand. Chemicals used in Australian fraccing operations include sodium hypochlorite and hydrochloric acid (both used in swimming pools), cellulose (used to make paper), acetic acid (the active part of vinegar) and small amounts of disinfectants. For a list of chemicals used in Australian coal seam gas operations, see this link. For a discussion of BTEX chemicals, see this link. While the proppants remain behind in the rock formation, most of the injected fluid flows back to the surface. All recovered fluids are isolated in sealed storage areas designed to prevent leakage, such as specially designed and constructed dams or above-ground holding tanks. Depending on regulatory conditions, these fluids are then reused in subsequent well stimulation activities, treated for other uses or disposed of through an approved disposal facility. Academic and government studies in the US, the UK and New Zealand have shown that fracking is safe. 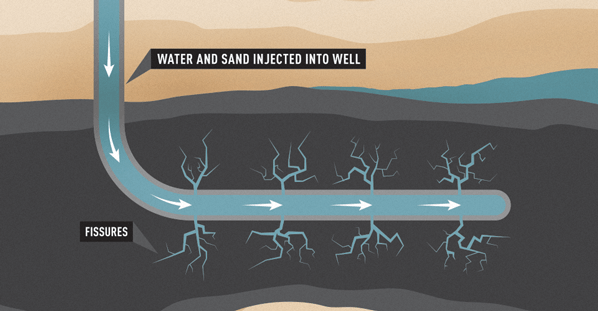 Given the nature and dilution of chemicals used in Australian operations, fracking does not impair water quality. Indeed, even in the US where stronger chemicals have been used, studies have repeatedly shown fracking has not affected water quality.